It’s official, mall Santas have arrived as have the numerous holiday festivities that allow Santa to spend time with the good boys and girls in your community. If you’re hoping to get your child to Santa this holiday season, you might find that purchasing a picture cost a lot more than you would possibly expect or hope to spend on a tight holiday budget. There are a few tricks you can do to avoid all of the high prices, so you can get a bit more than just a Santa photo out of your experience. 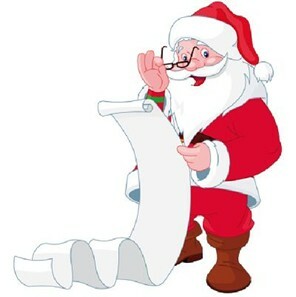 So, don’t shy away from Santa this year, as these tips should help you work out your budget while still allowing your children to get the holiday experience they long for. Without a doubt, many people love to flock to the mall for their Santa photos. It is one of the easiest options for busy families because the hours are convenient as is the location. You also don’t have to search around to look for a Santa event, which can be great if you decide to do your photos spur of the moment. However, the mall can really rob you blind if you’re not careful. Generally, you won’t be able to get your photo for less than $20 and this will only give you a few photos that you won’t have rights to. So, if you really want to get your money’s worth, make sure to do the math on all of the packages. Your best option is to grab a package with a digital copy, as this will allow you to make prints later. It will also allow you to share on social media with ease. Of course, you should always check out the rights of your photos before you have them printed, as each mall with have separate rules. If you live in a community that seems to go all out during the holiday season, then you might find a Santa that isn’t in the mall. Some towns love to invite Santa to participate in activities, which usually ends up with a photo opportunity for excited children. You might have to look ahead of time, but many of these events won’t charge for a photo with Santa, if you’re the person taking the photo. Some events will charge a small fee to try to pay for the event. Some of the more common events to check out are tree lightings, caroling and fundraisers. You may even have several opportunities for Santa photos, which will make this year’s holiday cards amazing. Theme parks often come to life with Christmas cheer during the holiday season. So, if you’re planning a family trip then you might want to make your trip the perfect occasion to grab a photo opportunity with Santa Claus. A lot of theme parks will actually have a special section for Santa, which might make the experience even more magical. Of course, this might mean long lines, so prepare yourself to spend a bit of time on this activity. Usually, parks will charge a fee for the photo, but it probably won’t add up to the same amount as popular mall Santas. You might also be able to get the picture included in your ticket price. Not all theme parks will charge though, so you might be able to get a Santa photo with the price of your admissions, which will make your trip even sweeter. The holiday season is filled with magic that many stores and companies hope to bring to their customers. You might be able to find some awesome Santa photo deals for these events. For instance, many holiday shops, bookstores and so on will have Santa opportunities. Kids might have a chance to hang out with Santa for story time, enjoy caroling with Santa and maybe even have a cookie or special meal with the man of the hour. During these events, you can usually grab a photo with Santa, which should be included in the price. Generally tickets are required for these events, but you might get more for your money if you do choose to go this route. These events might also make the experience with Santa a little less stressful for younger children that might not feel secure with Santa. Portrait studios tend to cost quite a bit throughout the year, so not many people think to show up to a studio for a Santa portrait. However, you might be surprised by the low price many studios will charge during this time of the year. You might call up the local studios in your area to see if they are running holiday specials. You might also want to see if they are doing a Santa event. Many studios will offer certain dates for Santa, so you should secure your date as soon as possible to ensure your family gets a chance with Santa. More often than not, having your photo taken by professionals can help you save more money than you’d expect, and you might end up getting a photo that is of better quality. Churches can also be a great place to make the most out of the holiday season. Usually, youth groups go out of their way to bring fun to the children during this time of the year. Often, churches will ask Santa to stop by for a special photo opportunity. Sometimes, the event will be open to the public, but you might not see advertisements for it. Your best option is to call around and ask different churches or check out their social media pages. If you are a member of the church, then you should be in the loop as to when the event is happening. Often, churches won’t charge for the event and if they do it is usually a small donation that they ask for. Sometimes, the events are organized around toy drives to ensure children in the community get a nice holiday. You might be surprised, but your child’s school might be a great place to get a Santa photo. Some schools will invite Santa to go from classroom to classroom, which will help you get a great photo of your child. However, sometimes schools need a little push to do this, so you might call and ask about it. Some schools are simply looking for volunteers to do this, so if you know someone you might put in a recommendation. Often, after school programs will also have a Santa opportunity for children. This includes the YMCA and Boys and Girls Club. If your child attends a program, then you should call and ask if they are doing a Christmas party or special event. Often the school and after school program won’t charge for a photo, so you should be all set. You might even call to the program or school to see when Santa will be present, so you can snap a photo too. If you have a large family, then your best option might be to get one of your family members to dress up as Santa Claus. The family can all put in money for a costume that can be reused year after year. However, you can also DIY a costume to save even more money. Once Santa is ready for action, everyone can get together to take a photo together and individually. If a family member has a professional camera then this will work out the best. However, phones these days are equipped with awesome cameras, so you should be able to get the most out of your photo opportunity. Your photo is also cheap to print at most department stores, so you can save big time on your holiday prints and cards. Memberships can be your best friend around this time of the year. For instance, if you’ve snagged a membership to a zoo, aquarium, museum and so on then you will probably receive invitations for a special meet and greet with Santa. Your kids might also be able to enjoy free crafts and other activities thanks to your membership. This is certain to make the holidays bright. If you have a membership to the YMCA then you might also get to enjoy some Santa time at no extra cost. Country Clubs are also great about inviting members to holiday parties. Kids might even get to have a meal with Santa before taking a special photo. So, check out what all your memberships will bring to you this holiday season. A lot of the time, people assume that they can’t take their own photos when they allow their children to visit Santa. Instead of assuming, make sure to ask if you can take your own photos. This will help save you some major money if you are allowed to do so. Although you will probably be rejected in most locations, you might be surprised by how many places will give you a nod to go ahead. This might even give you the chance to work with your children to get the best possible shot. Santa photos are a timeless part of the holiday fun. However, they seem to grow more expensive as the years pass. These tips should help you get the most out of your money, so you can spend more on other festivities. With Santa photos out of the way, you’ll be able to enjoy the season even more and the kids will rest easy knowing that Santa knows exactly what they want for the holidays.